Essential component of the renin-angiotensin system (RAS), a potent regulator of blood pressure, body fluid and electrolyte homeostasis. 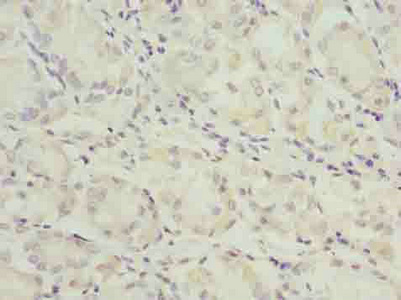 Angiotensin-2: acts directly on vascular smooth muscle as a potent vasoconstrictor, affects cardiac contractility and heart rate through its action on the sympathetic nervous system, and alters renal sodium and water absorption through its ability to stimulate the zona glomerulosa cells of the adrenal cortex to synthesize and secrete aldosterone. Angiotensin-3: stimulates aldosterone release. Angiotensin 1-7: is a ligand for the G-protein coupled receptor MAS1. Has vasodilator and antidiuretic effects. Has an antithrombotic effect that involves MAS1-mediated release of nitric oxide from platelets. 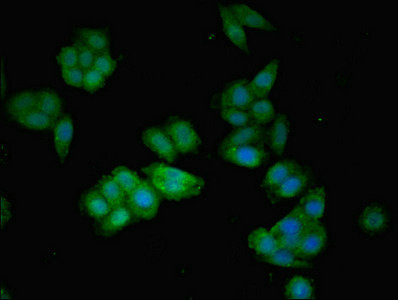 AGT Polyclonal Antibody. Unconjugated. Raised in: Rabbit.